People are being urged to get their chimneys swept before lighting an open fire after fire crews were called to FIVE blazes on Saturday. Bedfordshire Fire and Rescue Service said the weekend’s cold weather encouraged people to light fires for the first time this winter only to see the chimney catch alight. 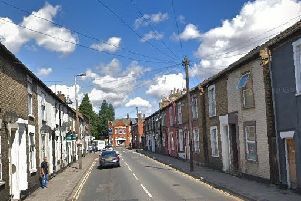 The incidents began at 10.59am on Saturday, January 9, with a call to a house in High Street, Riseley. Firefighters from Harrold Community Fire Station extinguished the chimney by 11.40am using a stirrup pump and rods. A minute later, at 11am, crews were scrambled to another chimney fire in High Street, Souldrop Village. Rushden Fire Station attended the scene and used a stirrup pump and hand sprayer to extinguish the fire and finish at 11.56am. At 3.32pm firefighters were called to the next chimney fire in High Street, Silsoe. Firefighters from Shefford Community Fire Station were sent to the fire which was out on arrival. They used a triple extension ladder and thermal imaging camera to inspect the chimney before leaving at 4.07pm. That evening, at 9.12pm, firefighters were called to a chimney fire in Potton Road, Biggleswade. They extinguished it by 10.27pm. The final chimney fire call was at 11.09pm when crews were called to Marston Road, Lidlington. This was put out using buckets of water and chimney rods and the incident closed at 11.49pm. The service is now urging people to have their chimney swept by a professional chimney sweep before they light it for the first to avoid a fire that could destroy their home. He added: “Birds’ nests and other debris can also block the flue which means smoke and deadly Carbon Monoxide gas, released during burning, can seep back into the house poisoning the occupants. In May a fire in a chimney caused serious damage to a property in Eversholt, and in the last three years there have been 168 chimney fires across Bedfordshire.